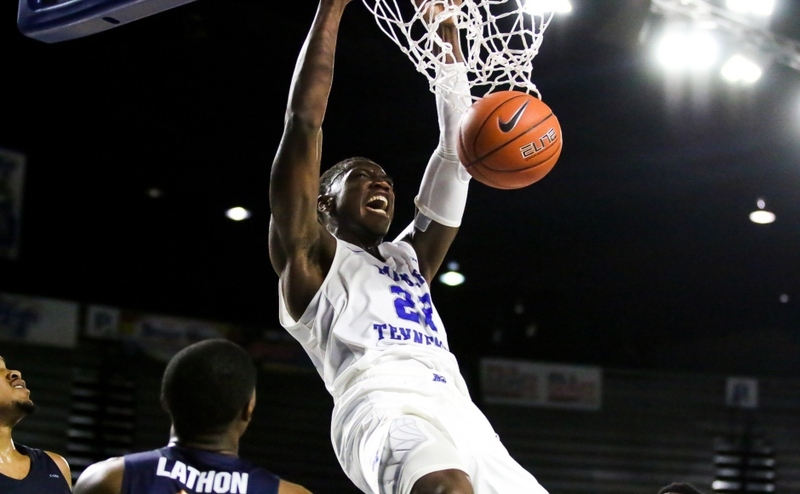 After over a month without a win, the Blue Raider basketball team went back-to-back in the win column following its 75-72 win over UTEP on Saturday at Murphy Center. UTEP jumped on MTSU early with the Miners shooting 80 percent from the field in the first five minutes of the game to take a 13-point lead early. “We were not playing with enough effort early in the game, and that’s why we were down. It wasn’t things UTEP were doing that we weren’t ready for, it wasn’t an X’s and O’s thing,” said head coach Nick McDevitt. 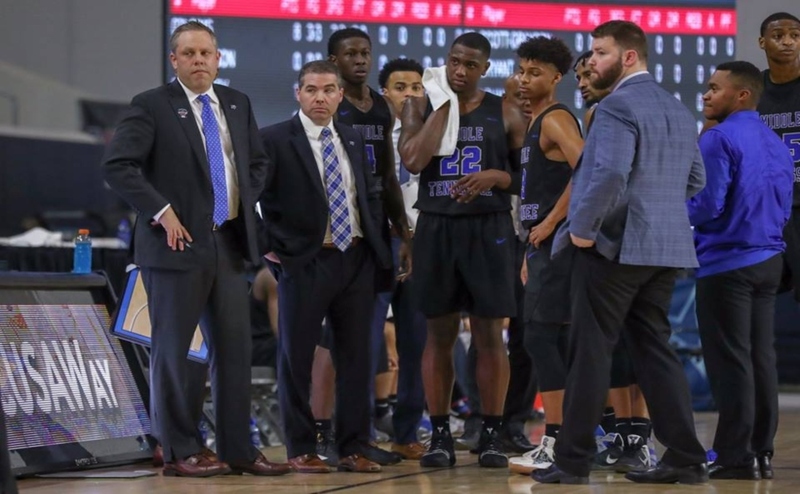 After a fiery huddle and one removed jacket, McDevitt pulled his starters and put in reserves, which injected new life into the Blue Raider lineup. Kydjana Lewis hunted down a breakaway and forced a jump-ball and was followed by Lawrence Mosley driving home a tough lay-in to get the crowd on its feet. “I thought KJ Lewis running down one of UTEP’s guards to get a jump ball was a key play of the game. 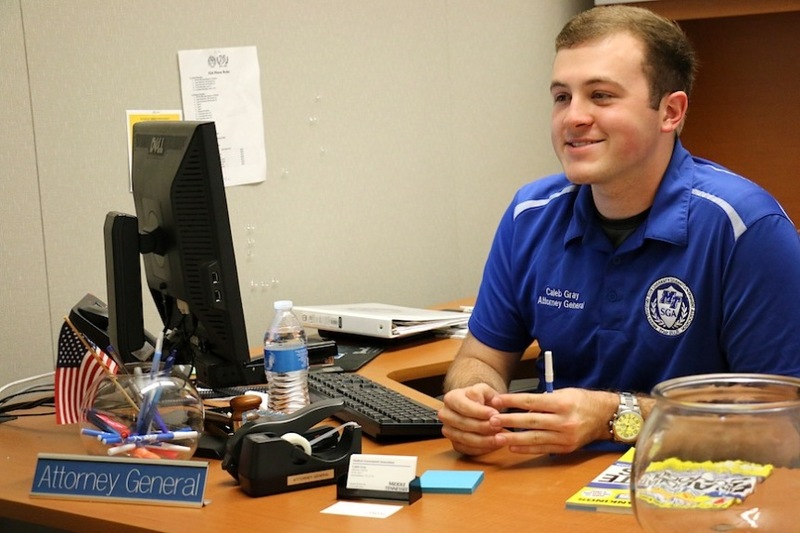 The energy in the building changed for our team,” McDevitt said. 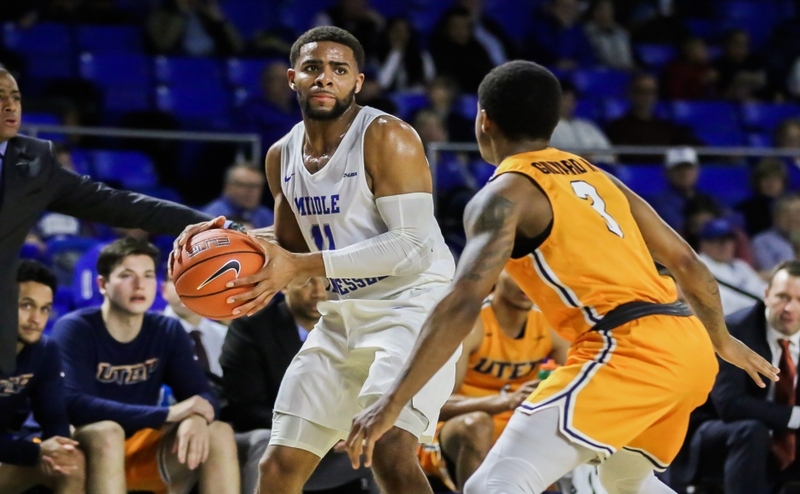 UTEP did not make a field goal following the 9:21 mark, as MTSU finished the first half on an 11-0 run, capped off by an Antonio Green three-pointer from the corner to cut the deficit to two. Both teams traded runs to start the second half, but the Blue Raiders grabbed the lead for good with 10 minutes remaining. 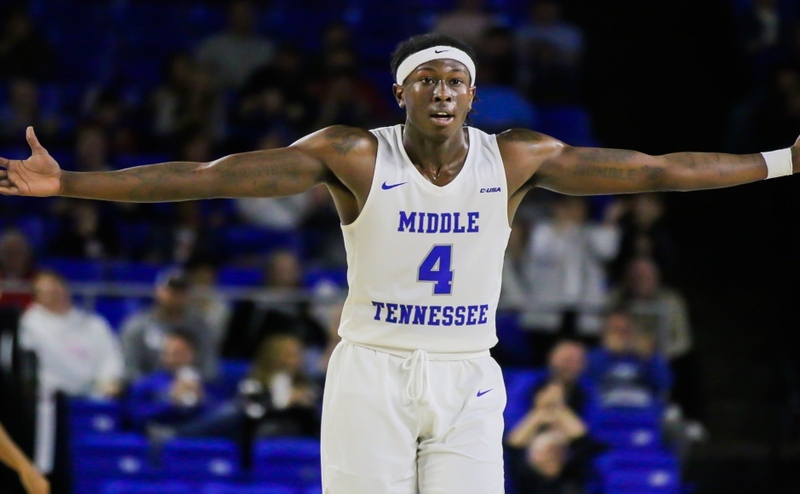 After a hectic final few minutes full of official reviews, technicals and one ejection of UTEP head coach Rodney Terry, MTSU secured its second Conference USA win of the season. Reggie Scurry had another great game with 19 points, nine rebounds and four assists, including a couple rim-rattling jams. “When Reggie got the ball, he played aggressively, and we decided to keep giving him the ball. (Reggie) is such a good player, you want him to be aggressive and his mindset tonight was key,” McDevitt said. Antonio Green had a slow first half but got hot in the second and finished with 17 points and six rebounds. 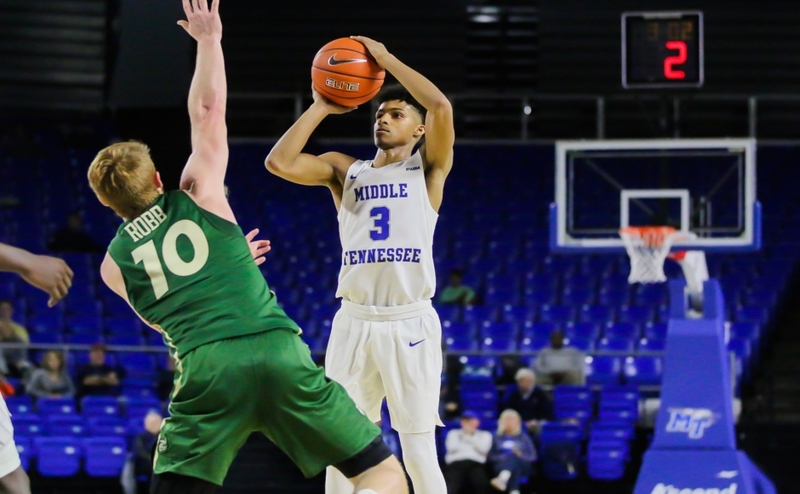 MTSU improved to 5-14, (2-4 C-USA) and will travel to Texas for a two-game road stint versus Rice on Thursday and North Texas on Saturday. MT returns home next on Jan. 30 against UAB.